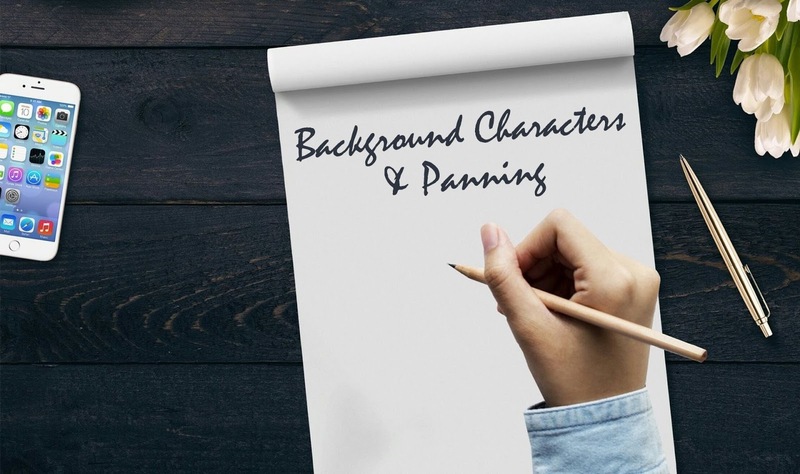 Background characters can be very useful in any story that has a restaurant. Club, red carpet, etc. Background panning can be very useful as well to switch to different parts for your scene. We will not be learning about timed panning or animations for your characters today as you will learn that later on. We will be learning about Background Characters and Background Panning today. 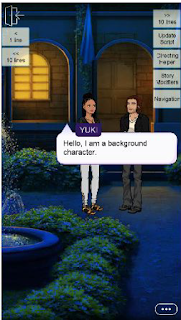 Background characters have become apart of episode stories and episode has made it easier to create background characters now. 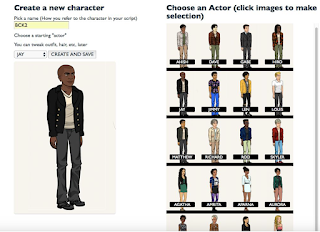 Before episode released the Random Character Generator (2018) every author had to create all their background characters by scratch or use the default characters episode has created. I will teach you both methods today in case in the future episode removes the Random Character Generator. I call episodes feature for creating any character the Random Character Generator because it is a fun way to remember it. If your in the middle of your story and think “awe man, I need some background characters.” Then look no further to this nifty trick. Here is how it works. 1.) If your creating just a background character use this abbreviation (This is what I do.) 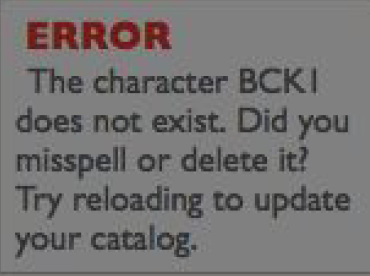 BCK1. You can have them either stand at a spot or say something. 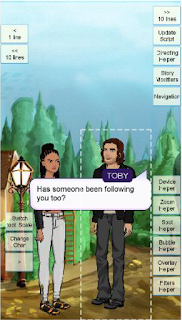 For this example I am going to have the background character talk. 2.) Next, click on the “Save” button on the top right corner of your screen. 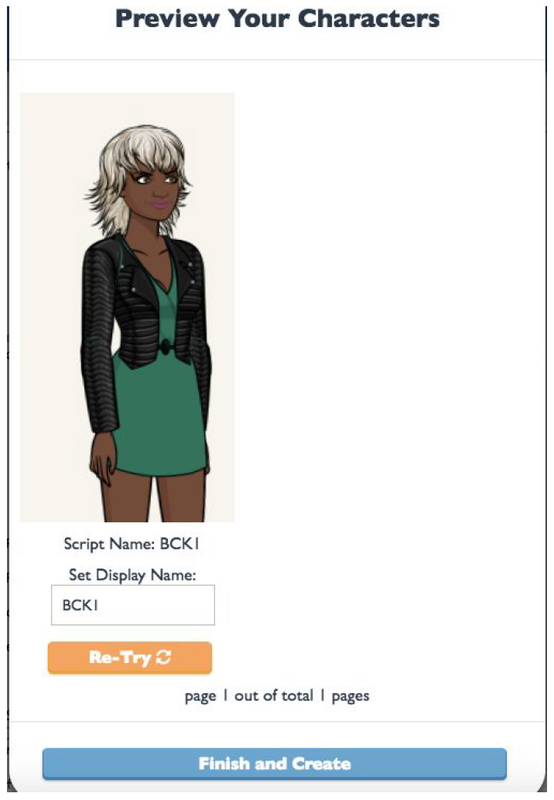 Today I am going to make this background character a female but you can choose the gender of your background character. Once you have selected the gender click the “Continue” button. In this screen you can change the display name of your background character to whatever name you like along with randomly changing its look. I’m going to name this background character Yuki and click the Re-Try button to change her look. NOTE : you can have however many background characters you like. One preview page will show three random generate characters; if you create more than three random generated characters there will be more than one page. 5.) 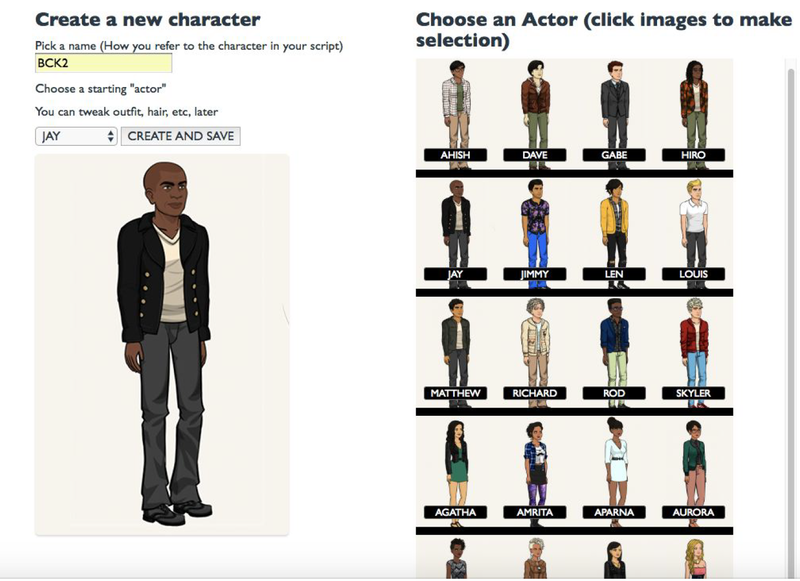 Once you're satisfied with your background characters look click the “Finish and Create” button and your background character will be created. This is random generated character I ended up with for my background character named Yuki. 3.) Once your character is created you will be brought back to your character screen. 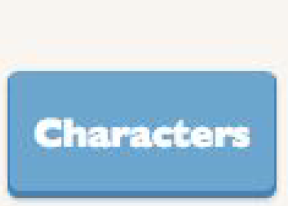 It should look like this: From there you can change the characters display name, and appearance. Take the time to make your background character look the way that you want them to. 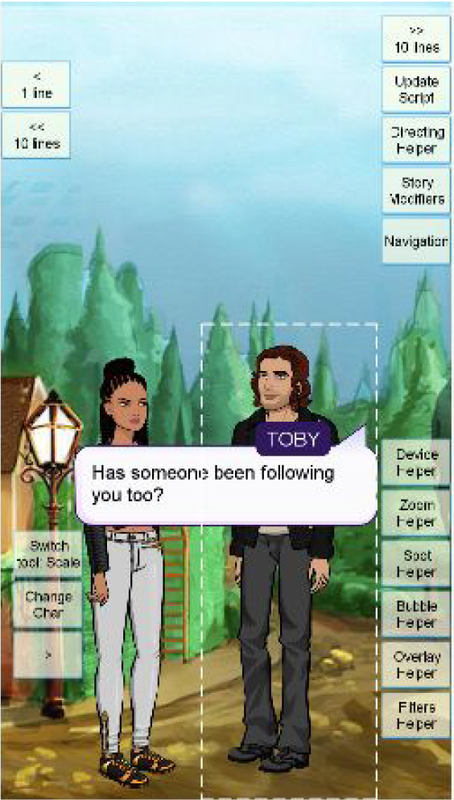 I am going to name my background guy character Toby and change his appearance. In this tutorial as well I am going to keep his original outfit. 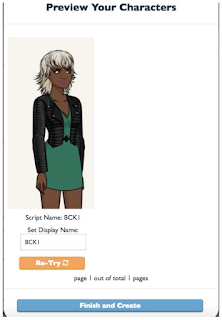 OPTIONAL : You can change their outfit if you like to simply by clicking the “Go To Outfits” button finding the BCK2_default outfit name and picking your clothes for the character their. That is how you create any background character you like is with these two options. Now to place them in a scene you will have to spot direct. You will have to know your zones and the next part will help with that. if you chose to type the words then you can pick from zones 1 to 3 . Now that is how you pan to any zone in your scene. if you chose to type the words then you can pick from zones 1 to 3 . Once you click on that button your going to see a bar where a few options appeared at the right hand bottom side of the screen. Together the size of the character and coordinates tell you the author the location and size of your character. You can mess with this to see how big, small, upside down or right side up your character will be. Try the below whenever you're trying to spot direct for zones. I hope you enjoyed this How To. This also works in the Episode Limelight style as well but not in Episode Classic style. Have a good day everyone and I hope this information was useful to you. Episode Life: Background Characters and Panning!